Should Employers Provide Mileage Reimbursement to Contractors? Should Employers Reimburse Contractors for Mileage? Using the IRS standard mileage rates is the simplest approach to mileage reimbursement for employees. For contractors, on the other hand, mileage reimbursement—and reimbursement as a whole—can be a little tricky. To compound the problem, issuing reimbursements using standard mileage rates often relies on inaccurate manual odometer readings that can represent a significant cost to employers over time. Here, we discuss why employers should reimburse contractors for mileage, and how employers can accurately calculate mileage expenses. First, employers should be mindful about how they treat their contractors. Remember, there are many differences between a contractor and an employee in the eyes of the IRS. One of the biggest differences is that contractors are generally viewed as business entities responsible for reporting its taxes. Why? Because contractors work on a per-project basis, are not eligible for benefits, must file their own tax returns, and often use their own tools. Employees, on the other hand, have their income tax liability handled by their employers, can work across multiple projects, receive benefits, and use company equipment. This is a crucial matter to the IRS, because employees misclassified as contractors can be a way for employers to bypass their tax burden. Therefore, employers should only reimburse contractors for mileage if they are not also reimbursing them for other expenses incurred such as equipment costs and tech fees from e-mail, telephone, and software. Why Would an Employer Want to Reimburse a Contractor? Changes to the scope of a project may trigger additional travel expenses that a contractor would only agree to under certain conditions—one of them being mileage reimbursement. For this reason, the IRS has provided some leeway when it comes to what is OK to account for reimbursement. Consequently, the reporting burden falls to the contractor. And this can be a problem, because manually reporting odometer readings before and after every expensed trip can lead to errors in the mileage reports. For an employer, each report represents a potential pile of costs due to inaccuracies with the traditional system. 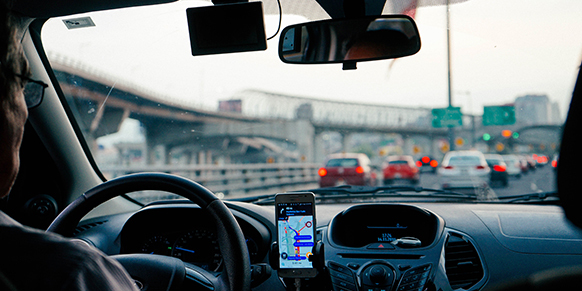 Instead of using the traditional system, employers should consider adopting the CompanyMileage’s SureMileage system for their employees and contractors. Here, SureMileage calculates the expenses to be reimbursed by automating the mileage tracker rather than requiring someone to manually input odometer readings before and after a trip. This approach allows employers to save almost 30% on mileage reimbursements. How does it work? Employers coordinate with CompanyMileage to onboard the technology. The process is simple. Simply share a sheet of every employee/contractor, export a master list of all the origin and destination addresses associated with every project, wait while CompanyMileage validates the addresses to ensure accuracy, train staff to use the system, and integrate accounting systems. The system works well beyond contractors, of course, and offers a one-stop shop that allows employers to issue accurate mileage reimbursement for employees as well. With SureMileage, employers can confidently reimburse both employees and contractors for mileage expenses by minimizing the risk of overpayment.